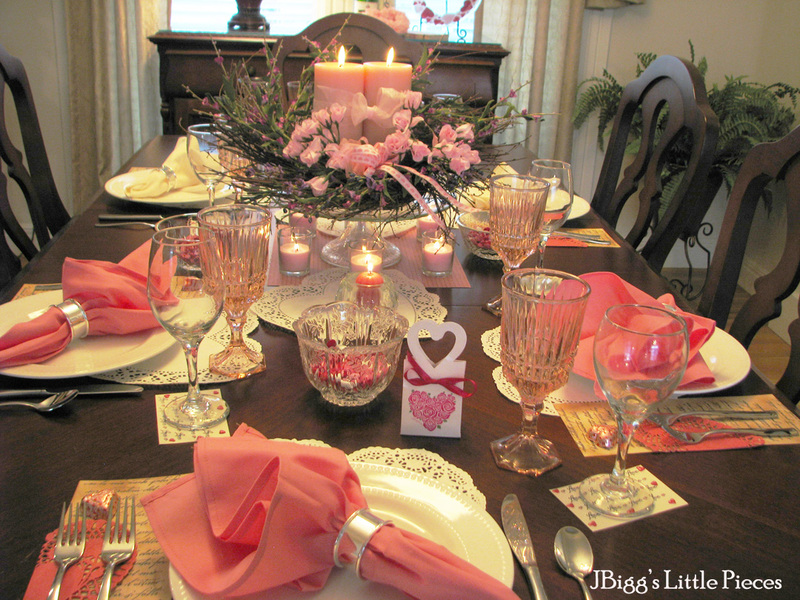 Valentine tablescapes when done thoughtfully can give you a perfect romantic setting with little effort. The most romantic day of the year – Valentine’s Day – deserves to be celebrated in style and the table setting for this beautiful day should reflect the love that you have for your partner. So take out a little time to decorate the table beautifully and let him/her know that you truly care. Think Valentines Day and what instantly comes to mind are things like hearts, candles, red color, flower bouquets and chocolates. These are an essential part of romantic table settings. The table setting ideas picked by us will inspire you to get all creative and lay out a dreamy table for your that special someone. Nothing will transform your table from drab to fab as instantly as a candle. Candles help in creating a special atmosphere that is soft, warm and cozy. It gives you the ideal romantic set up in no time. Choose the candles in colors that go with the overall color scheme. 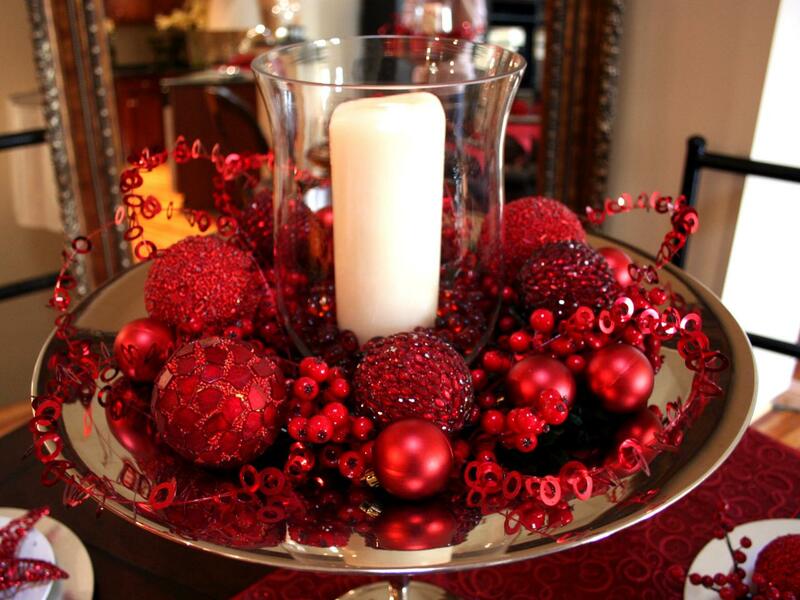 Beautiful glass candle holders in red color make for the perfect decoration pieces. 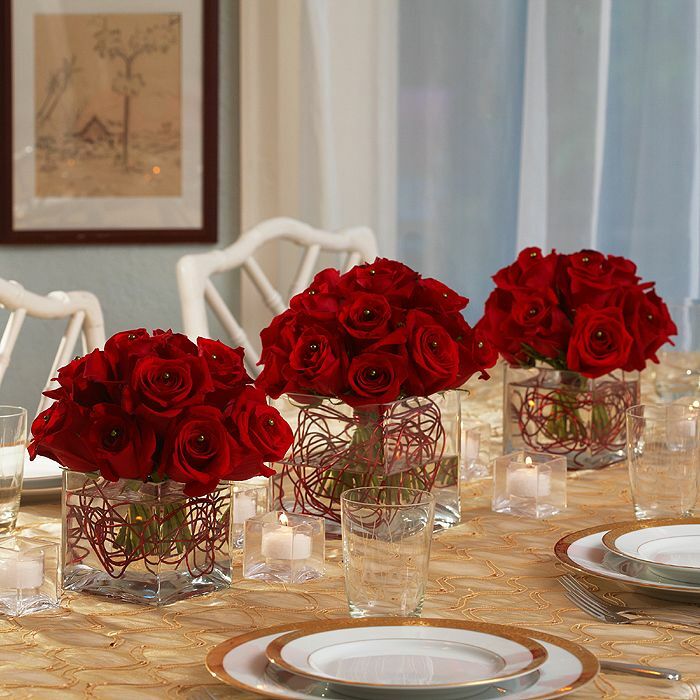 Elegant valentine table centerpieces can be created by putting the candles in mason jars and surrounding the jars with roses. Floating candles put in a shallow pot of water with rose petals all around is another simple and evergreen idea that you can try. If you cannot find candle holders that go with your theme, simply put your wine glasses upside down and put candles atop it. Don’t forget to put some roses under the glasses for that Oh-so -lovely feel. Scented candles with sweet floral fragrance or ones with wooden earthy aroma will set the tone for a sensuous romantic get together. Roses have a unique classic appeal that makes them so synonymous with Valentine’s Day. They symbolize love and beauty. 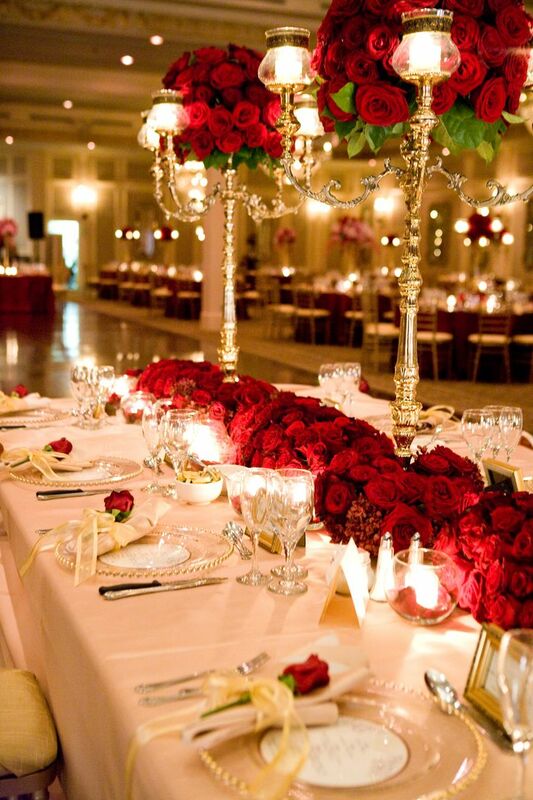 So much so that valentine table decorations would be incomplete without the use of roses. Roses, in huge bunches, make a huge impact. Place these bunches in tall, transparent vases for a mesmerizing look. A conical rose bouquet has been used as a gorgeous centerpiece in one of the images below. White and red roses can be combined for that perfect Valentine Day feel. 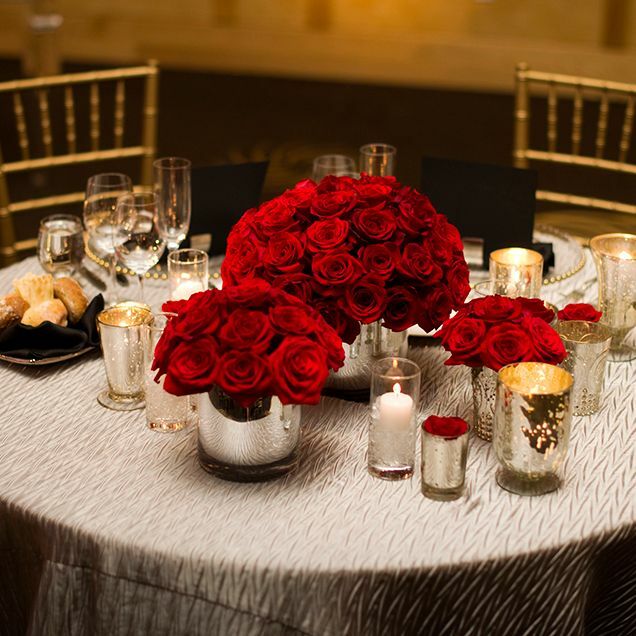 Rose petals can be scattered all over the table for an easy-to-do decoration. Since roses are available in several color choices, you can fit them in any color scheme. Not to mention, the sweet fragrance of this flower will make the ambience more romantic. Little hearts made out of paper or cardboard, heart sticks, heart cushions, and heart shaped candles can be added to your valentine table decorations to make it more romantic. If you can manage to find heart shaped crockery in red, it would be great. You won’t be needing any other decorating items then. 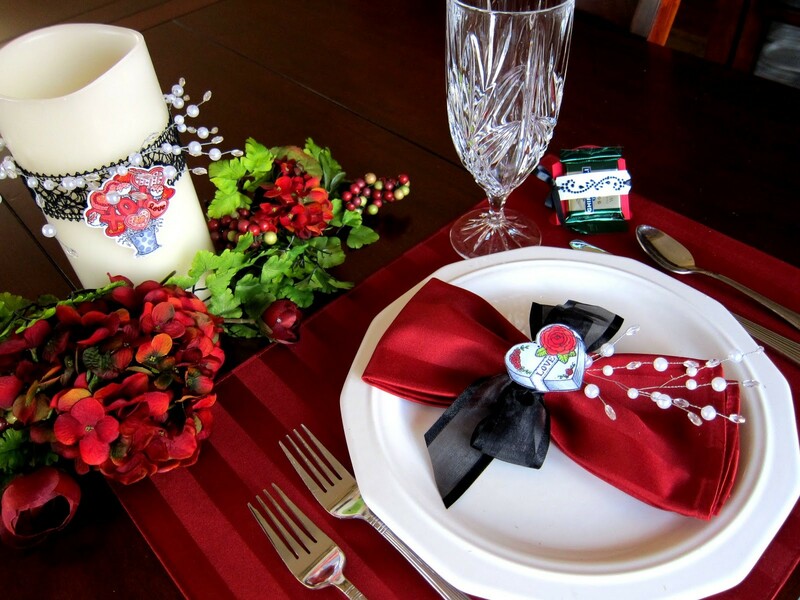 Beautiful valentine table centerpieces can be created with bouquets made of heart sticks. Heart sticks can also be placed in glasses or mason jars. 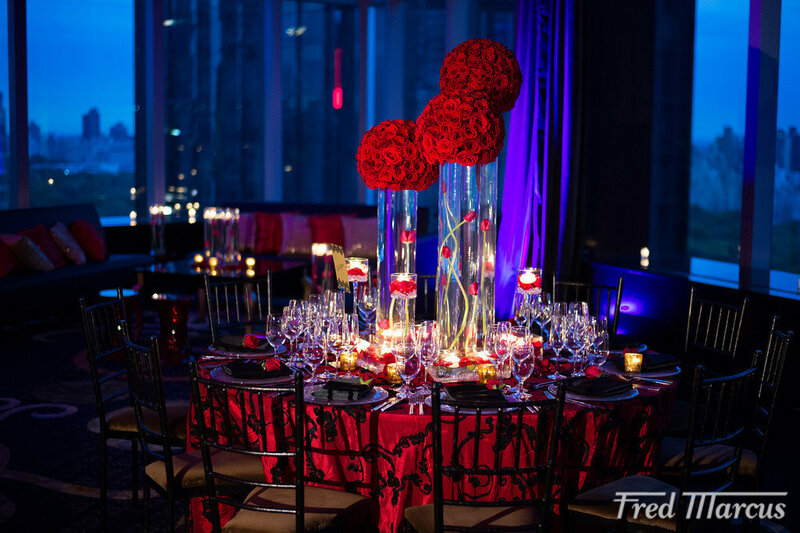 Hearts can be combined with red rose petals to cover the table. You can also use heart printed table cover and napkins. Heart shaped candle holders is another idea that you can try. You don’t have to burn a deep hole in your pocket just to make sure that you have a memorable Valentines Day. 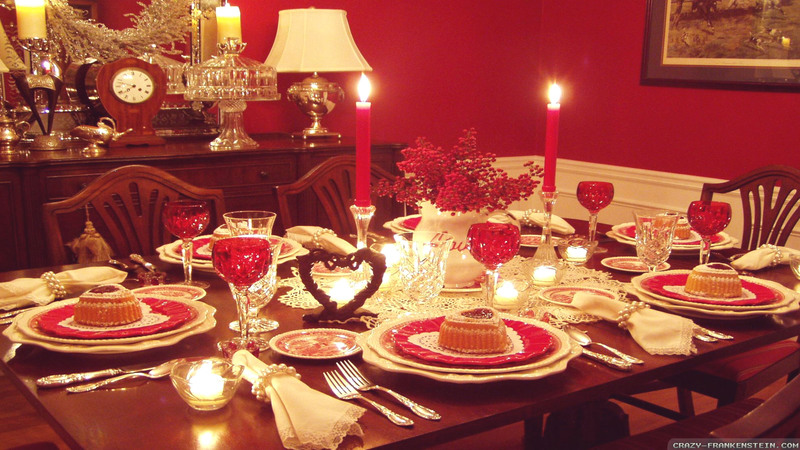 Some simple table setting ideas depicted in the images below will help you in putting together things that you already have to layout a perfect Valentine Day Table. 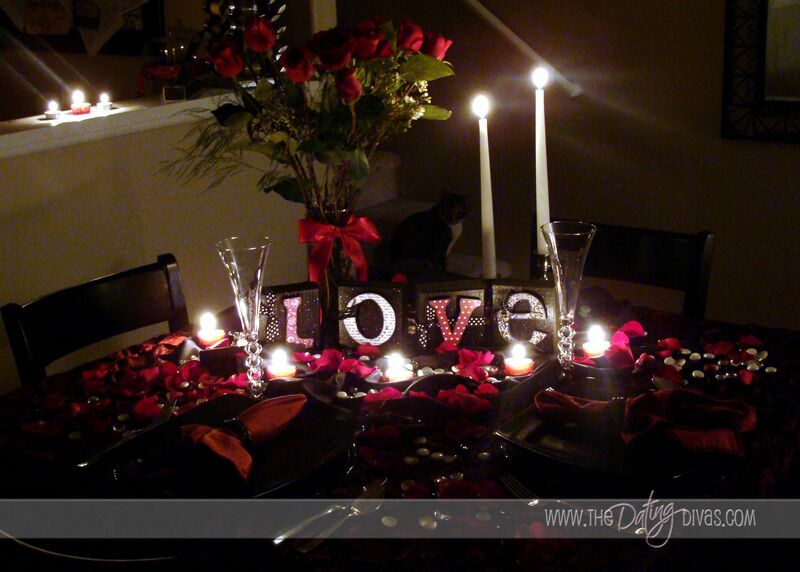 Take some old mason jars and fill them with roses, candles or hearts to make attractive valentine table centerpieces. You can add a photo of you two for that sweet and mushy effect. Red colored papers as mats can be used and the cutlery can be tied with a red ribbon. Red napkins will take the overall look a notch higher. Make use of personalized messages to give a personal touch to valentine tablescapes. Simply by color coordinating the table cover, napkins and crockery you can create a perfect base for further decorations. Red is the color that is synonymous with love but go for pink if you want the valentine table decorations to be elegant and unique. The color represents playfulness, compassion, sweetness, passion and love. Especially for outdoor decorations for a day brunch, pink looks more beautiful than red. It exudes that soft feeling that is perfect for romantic table settings. 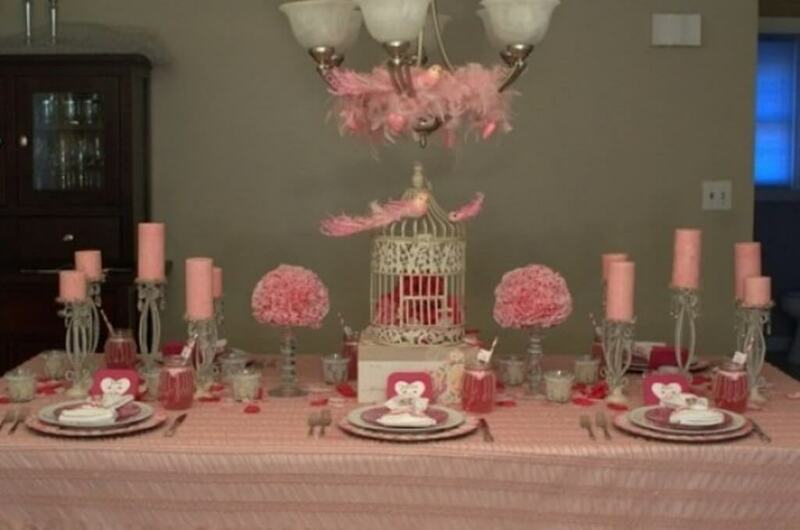 In an image shown below, the use of pink feathers just transforms the whole tablescape giving it a very feminine and lovely feel. In another image, use of pink napkins, flowers and candles adds a soft and pretty feel to the table. Combine pink decorations with white for a subtle look and for a drastic one try mixing pink with black with hints of red. 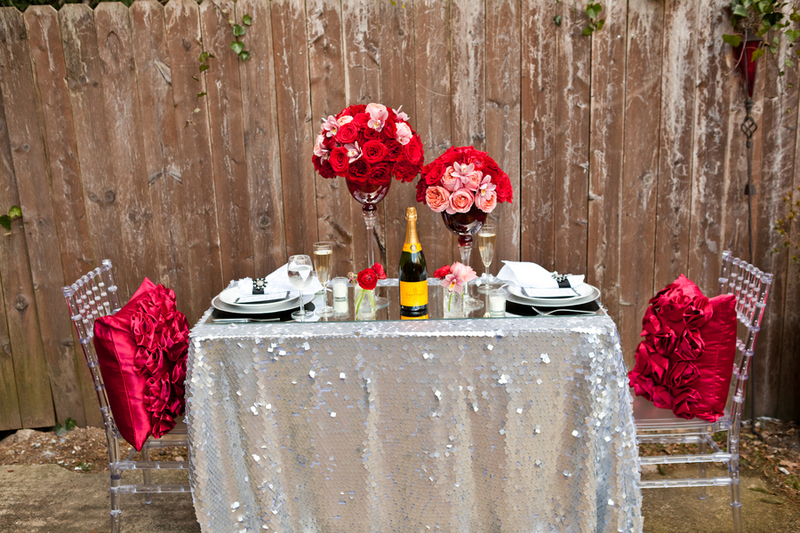 Outdoor Valentine table Decorations look just lovely and dreamy. A table for two at the sea-side is an ideal valentine day setting for many. 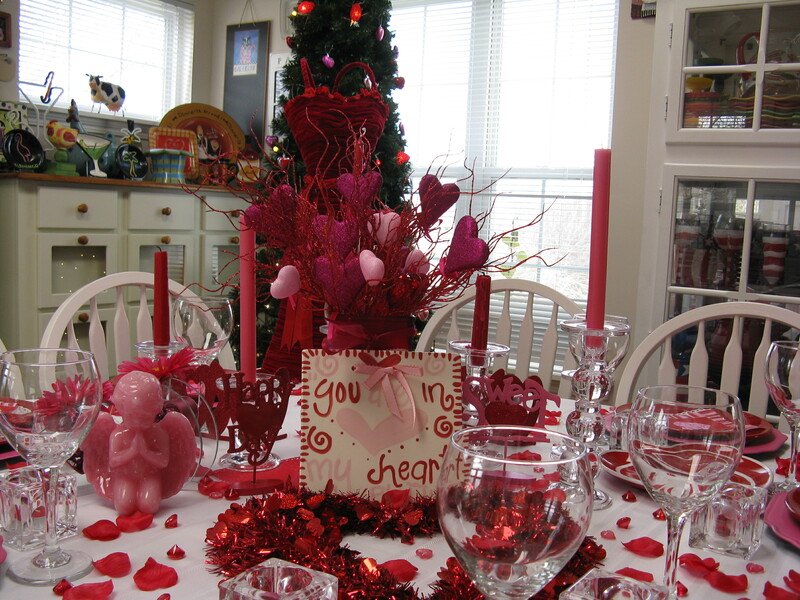 Valentine tablescapes out in the open need special attention. For day time, go for subtle colors like pink and mauve. You can use the red and white combination but do not overdo the red. While pastel colors work well for the day, red will make the night all the more romantic. Add a touch of silver for that sensuous look. Candles and roses and sparkling crockery will make any outdoor table decoration look mesmerizing. Make use of lamps, lanterns, LED candles, tea lights etc. to bring out a beautifully lit-up table under the dark sky. 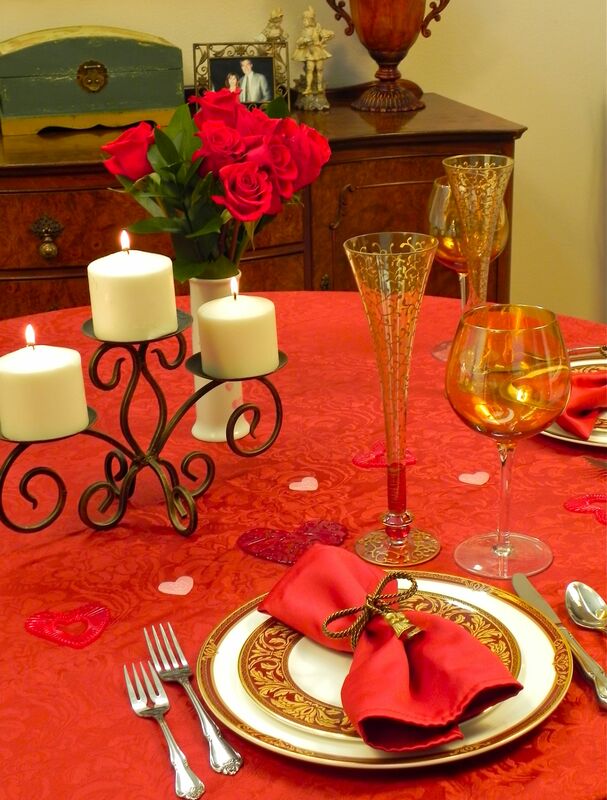 So let romance be in the air starting with a beautifully decorated valentine table to bring the two of you even closer. Whether you are entertaining a group or just one person, these wow-worthy *valentine tablescapes* will surely make your Valentines Day way more special and beautiful.